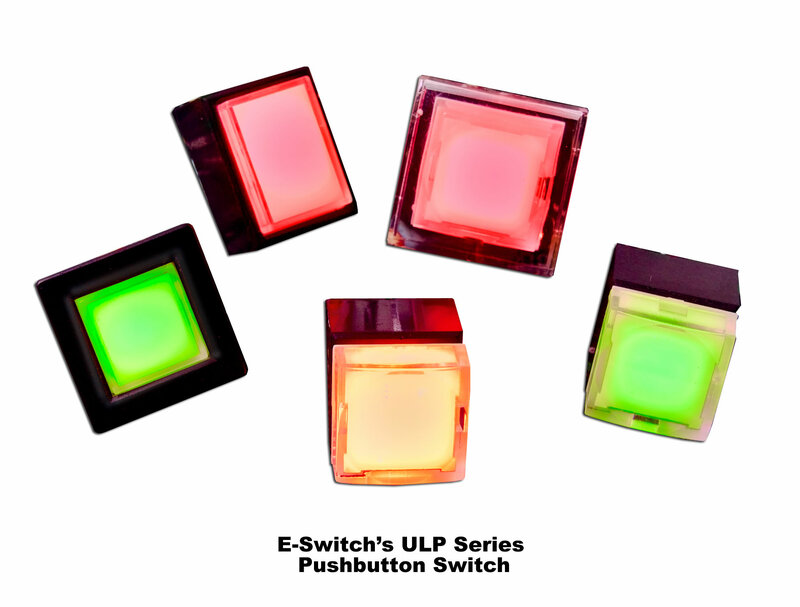 MINNEAPOLIS, MN, May 25, 2013, 4:45 am -- /EPR NETWORK/ -- E-Switch announces an RGB color option for the ULP series LED illuminated pushbutton switch. You can order this switch with either SPDT or DPDT circuit options and either momentary or latching options. It offers multiple cap options including square sculptured, square flat, rectangular flat, panel mount, or large sculptured, all with LED color options that now include RGB. About E-Switch In 2009, E-Switch acquired Lamb Industries and now offers one of the broadest switch lines available today. The company has been delivering innovative and quality switches to the electronics, telecom, high tech, medical, instrumentation, industrial, audio/visual, appliance and consumer markets since 1979. Headquartered in Minneapolis, Minnesota with offices in Singapore and Hong Kong, E-Switch's global reach extends to Europe, Asia and Latin America. Products include Tact, Pushbutton, Rocker, Toggle, Slide, DIP, Rotary, Keylock, Snap Action, Power, Illuminated Switches and more. E-Switch has local reps, distributors, engineers and account managers on hand to provide specifying assistance and quick response to 3D drawing requests and other inquiries, along with a top notch sample program that allows engineers to examine and qualify our switches for their end product applications. E-Switch's online catalog includes complete specifications, drawings and schematics. Also offered are product modifications and customization expertise for many of our switches.